How Do You Use Dimensional Analysis to Convert Units on Both Parts of a Rate? Word problems are a great way to see math in action! In this tutorial, learn how to use the information given in a word problem to create a rate. 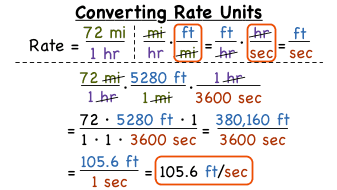 Then, find and use conversion factors to convert the rate to different units!